Each step from pruning to harvest, from crush to fermentation, and from fining to bottling is conducted on the premises with one goal in mind: to produce the best wine it is possible to make. 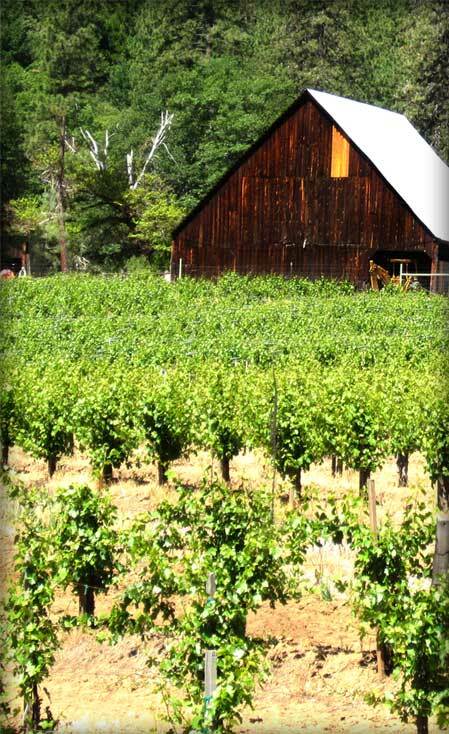 Alpen Cellars, established on a family ranch in the spring of 1984, is situated in a picturesque mountain valley at the foot of towering craggy peaks in the rugged Trinity Lake region of Trinity County, California. It seems an unlikely location to attempt to grow wine grapes. But the notion, a product of a young enology student’s vision, turned out to be notably rewarding. The combination of high elevation and favorable microclimate proved to be the ideal conditions for growing early maturing vinifera grapes such as White Riesling, Gewurztraminer, Chardonnay, Pinot Noir and Lemberger / Blaufrankisch, the five varieties to which the ranch vineyard is planted. We also feature two additional varietals, Pinot Gris and Merlot, which are grown in select sites elsewhere in Trinity County.